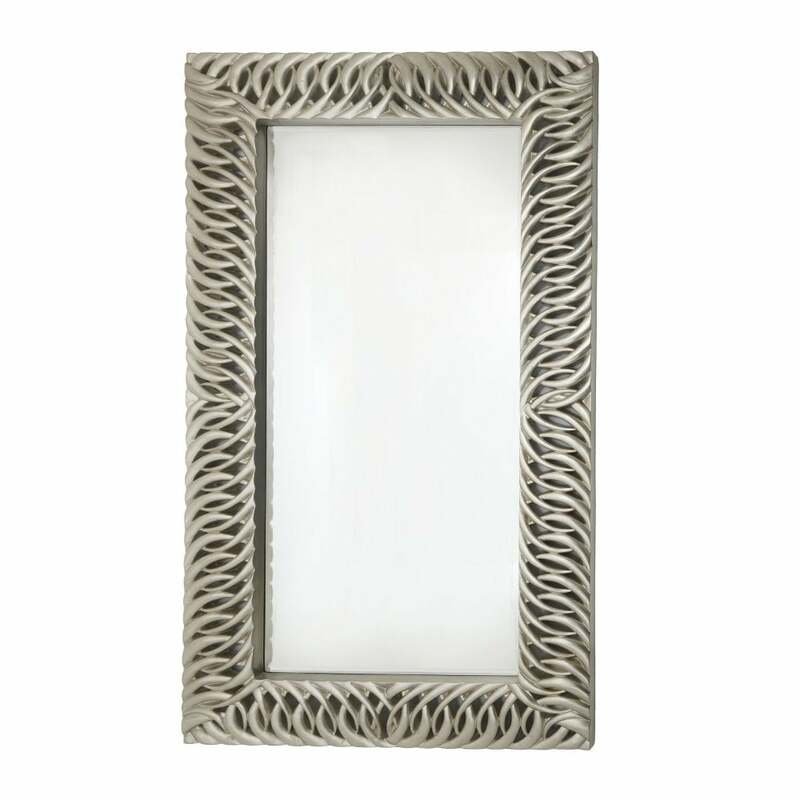 Hand sculpted by skilled artisans, this rectangular shaped mirror exudes designer appeal. Inspired by luxury hotel style, the Louen Mirror by RV Astley is finished in beautiful silver leaf. The narrow frame features a distinct pattern of overlocking and interlocking pieces curving round the mirror. The perfect finishing touch to a hallway or living space, use to bring light and radiance into a dark room setting. A classic design with a contemporary finish, style within a bright white interior scheme to let the mirror shine. Complement with furniture and lighting from the RV Astley range for a luxe look. Make an enquiry for more information.